To be honest, I wasn’t able to focus on a regular post this week. So, as I’ve done on a couple past occasions, I’m going to make relatively brief comments on a handful of recent genre announcements & developments…. 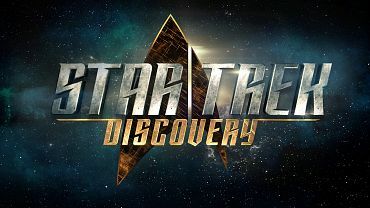 In September, it was announced that STDisc’s debut was being pushed from January to May 2017. I had mixed feelings about this, but I’m not mad; if they need the extra time to make a great show, they should take it. Then Variety broke the story that Fuller had stepped down as showrunner, due to scheduling conflicts. Gretchen Berg and Aaron Harberts (and Alex Kurtzman?) stepped up as co-showrunners, while Fuller remained as executive producer. This caused a lot of hubbub re the show’s direction, but Fuller remains the chief architect. Given his intentions, I obviously have mixed feelings about this. (I like his idea of making it less episodic and having a multi-episode story arc, and I’m intrigued with the concept of making the ship’s captain merely a supporting player.) It was also indicated that Romulans may be the primary villains in the series, and that would seem to work for the era in which it will be taking place (i.e., 10 years prior to ST:TOS). 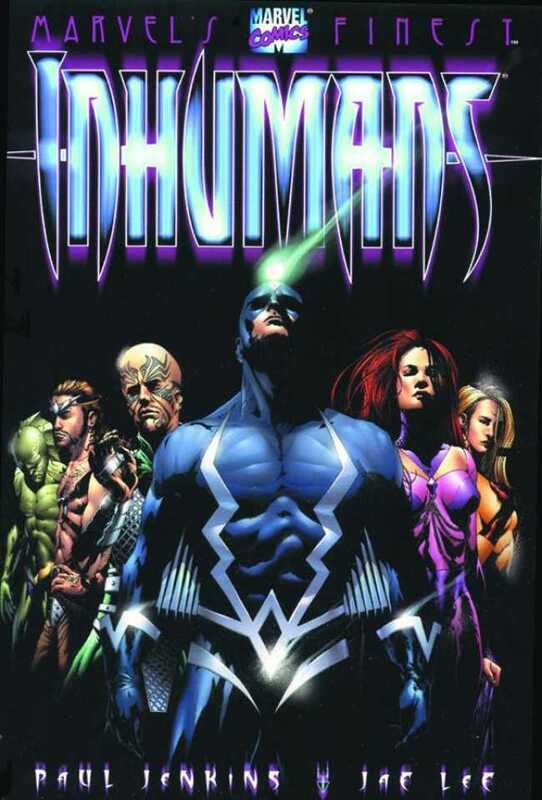 Item #2: Just a couple days ago, Marvel announced that it is teaming up with Disney|ABC Television Group and IMAX to develop a “Marvel’s The Inhumans” TV series. It will actually debut the first two episodes in IMAX theaters in September 2017. (That’s fast!) Not only is IMAX co-financing the project, but the IMAX cameras/tech will provide enhanced imagery and visual effects. Cool! Oh,… after the debut in theaters, the full 8 episodes will show on ABC starting in the Fall, “with additional exclusive content that can only be seen on the network.” Very cool! This show will not be connected to “Marvel’s Agents of S.H.I.E.L.D.” and the Marvel Cinematic Universe. (This likely also means there will not be an Inhumans movie connected to the MCU.) So, the “inhuman” characters we have seen in the S.H.I.E.L.D. series will not be involved in this one. In fact, the new show will be centered on the Inhumans’ Royal Family that fans know from the comics and animated series (see pic). In the Summer it was confirmed that Affleck would be directing, and the tentative title is “The Batman”. More recently, Joe Manganiello signed on to play Deathstroke — presumably the main villain. The film is currently scheduled for release in Oct. 2018. Man of Steel 2 likely won’t arrive in theaters until late 2019. I have to say, I am psyched for both of these. Yes, I know: “It’s Batfleck!”… “Man of Steel and DvJ were too dark!”… “They changed too much stuff.”… yada, yada. I have already explained in previous posts that I share some of these concerns and also why I’m OK with other aspects. My hope is that the respective creative teams will respect the fans’ input and address those “problems” in the new films. For example, I am fine with a darker, more violent and cynical Batman at this stage in his career. But, I want the Superman film to have a more positive, brighter tone, both visually and thematically speaking. Item #5: Only a couple days ago, it was reported that Marvel and Fox had worked out a “backroom deal” to trade characters. Well, not “trade” exactly, and this actually happened a couple years ago…. You may or may not remember — I always get this stuff confused — that 20th Century Fox owns the cinematic rights to all things X-Men related (including Deadpool), among other things, while Marvel Studios owns the cinematic rights to Guardians of the Galaxy and Avengers. 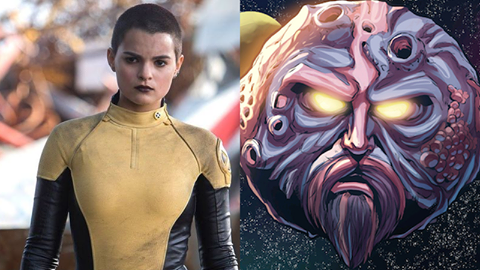 While developing Deadpool, the writers decided they really wanted the Negasonic Teenage Warhead character — or, at least, a differently-powered character with that name — but Marvel owned it. Marvel agreed to it but on the condition that they get to use Ego, the Living Planet, (owned by Fox) in Guardians of the Galaxy Vol 2. Thus, the deal was struck. This is big, because it shows that these two studios, who don’t always get along, can negotiate agreements to trade/loan characters to each other. All it takes is a mutually beneficial trade, and (hopefully) everybody — including the fans — wins. I hope this is a sign of things to come, so that other beloved characters can show up cross-studios, as it were. Item #6: Finally, speaking of Deadpool… You probably already know that a sequel is already in pre-production and scheduled for a March 2, 2018, release. (Of course, first they need to replace the now-departed director, Tim Miller.) It is rumored to co-star Rich Sands as Nathan Summers / Cable. But, the studio is so confident in the franchise that it has already greenlit Deadpool 3. This one is rumored to include some version of the mutant team known as X-Force. (No idea what this means for Jeff Wadlow’s planned X-Force movie. Could be a jumping off point, I suppose.) Could be great news for Deadpool and X-Force fans!